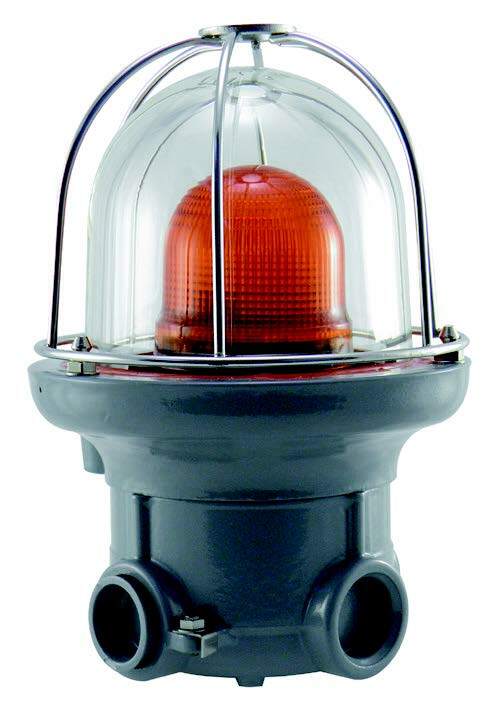 Explosion Proof Strobe Lights & Signaling Devices | Springer Controls Co.
Springer Controls offers a range of explosion proof strobe lights & signaling devices rated for ATEX zones 1, 2, 21, and 22. All units utilize an aluminum alloy housing with a rugged borosilicate glass dome. An optional stainless steel guard can be added to help protect the glass dome. 2 different conduit entry styles are available style TEX10 has two 3/4″ NPT connections entering from the side. The TEX30 and TEX50 housings have a single 3/4″ NPT conduit entry on the bottom. 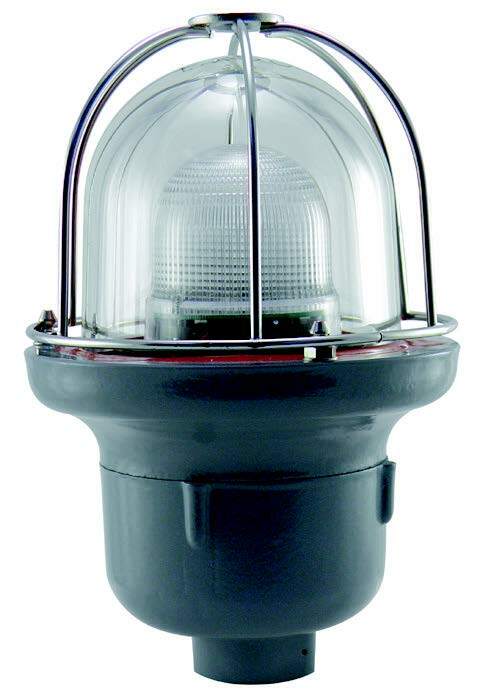 The single color dome light is a 75mm (3" high) dome light available in a range of colors. 24V DC/AC, 115VAC or 230VAC input power available. Steady or flashing can be field set via a jumper. 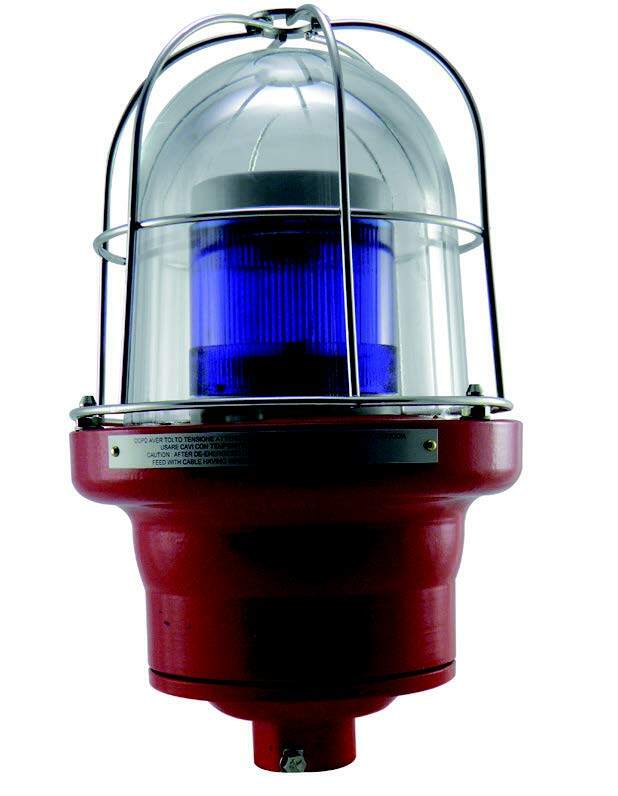 The multi-color light is 70mm (2.75") diameter, and available in quad color or tri color (2 different color schemes). 24V DC/AC input power required. Communicate 4 different messages with a single light. Flashing or steady on can be field set via a jumper. 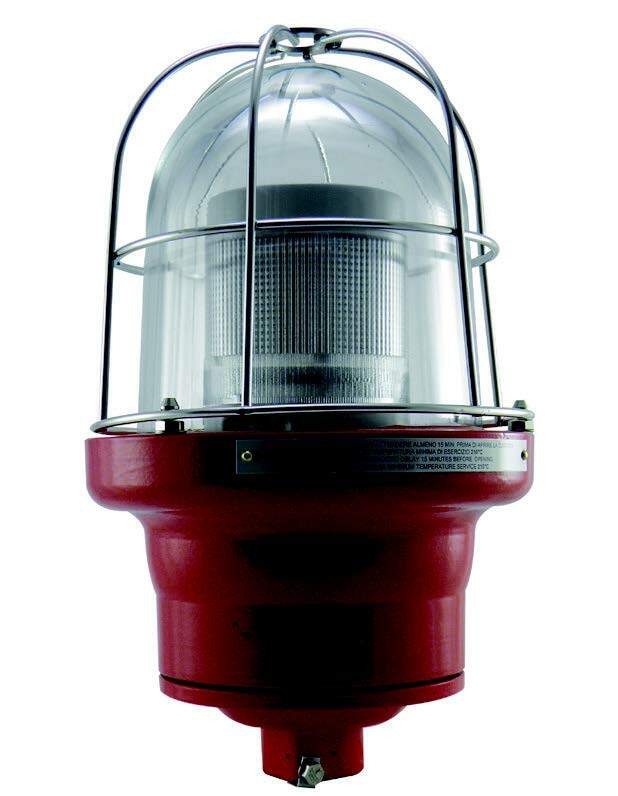 The single color light is 70mm (2.75" diameter) and can be set for steady on, flashing or rotating via a jumper. 24V DC/AC, 115VAC or 230VAC input power available.